Did you know? Over half of the world lives in an urban area? Baton Rouge and New Orleans certainly add to this number with both locations adding hip condos and lofts downtown and in the CBDs every year. This means that half of the world doesn’t have a sprawling yard or a place to plant rows and rows of flowers and produce. Even more locally, we’re used to smaller lots here in New Orleans with all of our beloved shotgun style homes. This doesn’t mean that you can’t have an amazing garden, however. With a trend called Square Foot Gardening becoming more and more popular, it’s easier than ever to have a lush, beautiful garden no matter how much space you have. 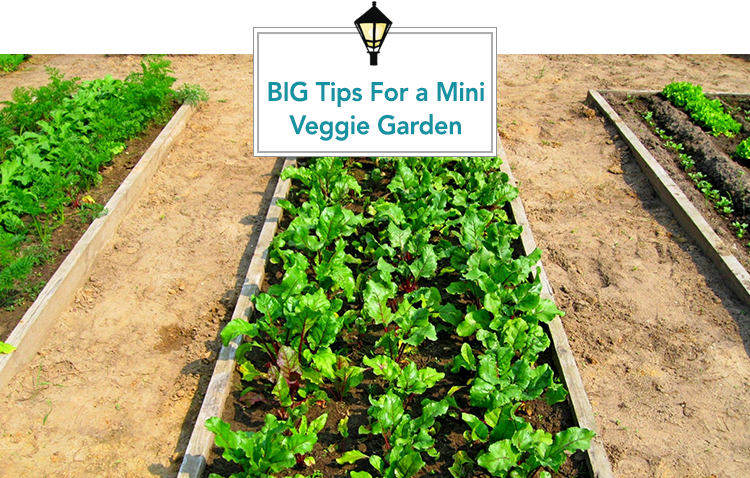 Follow these steps to build an amazing mini vegetable garden! If you’re reading this, you probably don’t have a ton of space to work with. But, even if you do, filling the tiniest nooks of your home with live plants is always a win in our book. That starts with picking your spots wisely, but the best part is…you can’t go wrong. Square Foot Gardening is a great way to maximize your space by building up raised beds and filling them with soil. Another cool idea is to go vertical by growing up a wall or lattice or by hanging plants from the ceiling. Wherever you choose to plant, it can work AND look great, too. We like the idea of hanging gardens and using your window sills as well, but let’s focus on the Square Foot technique of building raised beds. Essentially we’re creating a 4×4 box that will create delicious veggies for years to come! According to the folks at Square Foot Gardening, this technique creates 5x the amount of production while taking up 80% less space! Got your attention? Let’s get started! Happy planting! For all of your dream home needs, contact your LOCAL expert at Gardner Realtors today!